My fleet is almost complete. Got paint on all my ships. Have to do engine glow on almost all ships. 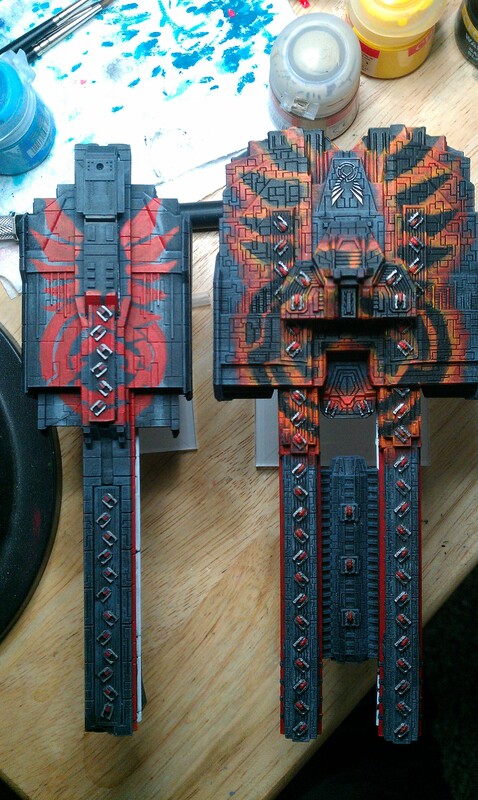 And detail red and white lines on my frigates. After that, I am thinking carrier. Then some destroyer class vessels. Attached is my Battleship (left) and Dreadnaught (right). I paint/play Dindrenzi.